Emily M. Petroski is a Principal in the Detroit, Michigan, office of Jackson Lewis P.C. She is the Litigation Manager for the firm's Detroit and Grand Rapids, Michigan, offices. Ms. Petroski’s practice focuses on employment litigation, as well as advice and counsel on all employment and labor issues. She has handled labor and employment cases throughout the Midwest, successfully defending some of the nation’s largest corporations. Ms. Petroski has significant experience advising clients and handling multi-plaintiff claims under Title VII, the Elliott-Larsen Civil Rights Act, the Americans with Disabilities Act (ADA), the Persons With Disabilities Civil Rights Act, the Family and Medical Leave Act (FMLA), and Michigan’s Whistleblowers’ Protection Act. Her experience includes handling charges filed with the Equal Employment Opportunity Commission, the Michigan Department of Civil Rights, and the National Labor Relations Board. She also has experience in alternative dispute resolution, including facilitation, mediation and arbitration. 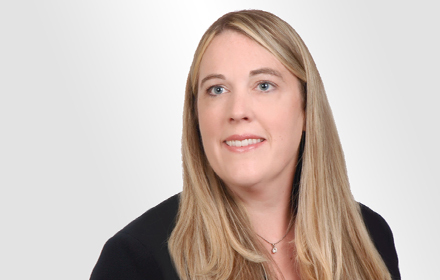 In addition, Ms. Petroski specializes in counseling and advising clients on FMLA compliance, ADA compliance, disciplinary actions, employment policies, workplace privacy, and document retention and management. In addition, she has extensive appellate litigation experience, and has successfully brought and defended appeals before the Michigan Court of Appeals and Michigan Supreme Court. Born and raised in Michigan, Ms. Petroski returned to practice in Detroit after graduating from law school. During law school Ms. Petroski was employed by the National Employment Lawyers Association and served as a Judicial Extern for the Butte County Superior Court. During her undergraduate study, she participated in the Stanford Program for Overseas Studies at Oxford University.